When one is on the road a round of golf does break up things a bit even when you haven’t played in almost 10-years. 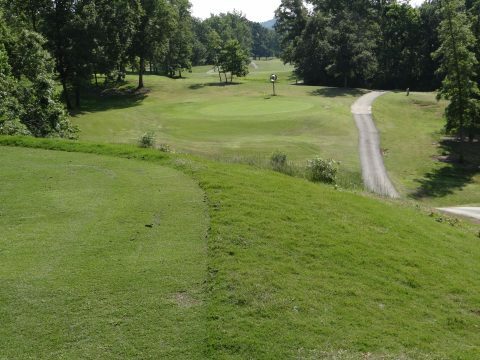 This hole is on the City of Knoxville (Tn) Municipal Course and for a city course it isn’t bad and only set me back 28-bucks for the 18-holes. Try it fans the next time you are in the area and yes I did par the hole, one of the few that day.